What does your favourite emoji say about you? Well it turns out it can be quite a lot. 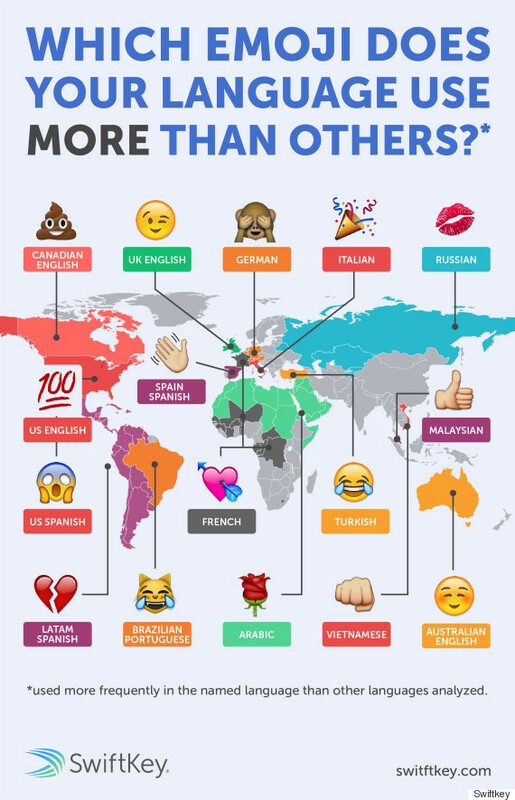 A new study by SwiftKey has discovered each country's favourite emoji, revealing some hidden insights into the ways we communicate with each other. The company analysed a staggering 1 billion emojis sent using the company's customisable keyboard for iPhone and Android. What they learnt was fascinating. 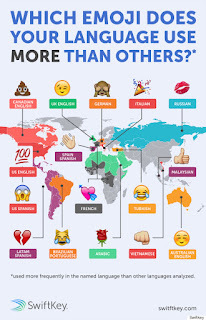 Canadians are actually secret Americans, using emoji categories that would most commonly be associated with American culture such as: violent, raunchy, money and sports. For those who think that French is the language of love, well prepare to be vindicated, France uses four times as many heart emojis as any other country in the world. 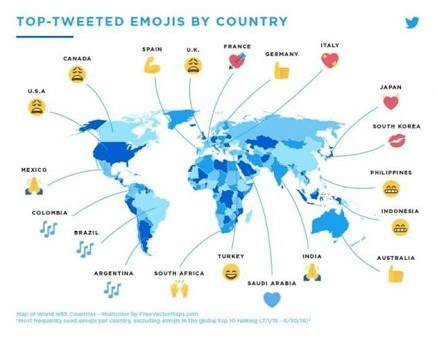 It's also one of the only countries where the smiley face isn't the most used emoji. If you want to judge Australians by their use of emoji then you'd be forgiven for thinking that everyone there wants to live their life like Mad Max. Australians use double the amount of alcohol-themed emojis than anyone else. So what does our emoji use say about us in the Nigeria?